A happy retirement is more than just having a a sizable retirement fund. Even some retirees who do not have to worry about money may still not be happy during their retirement. There are other things that can create a happy retirement for people. Here are some secrets that will help make it possible. As the old saying goes, health can also be a form of wealth. Being healthy can even be more valuable during retirement. Retirees will surely not want to spend this stage of their lives on a hospital bed suffering from some health condition. That will not be a happy retirement at all. Staying healthy in this case can be something that retirees can be thankful for. It will take work and dedication. But the benefits to be gained during retirement can be worth more than any amount of money. 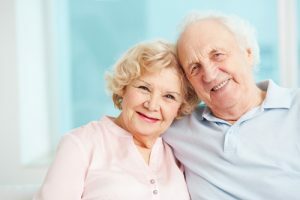 While some retirees may think that retirement is all about relaxing and taking a lengthy break from doing anything, then they should be expecting a boring life ahead. Simply doing nothing while relaxing at home can just be effective for the first few months, or a year at most. Soon enough, most retirees will find spending time doing nothing increasingly boring. It is important that retirees should still find a purpose to how they should be spending their valuable retirement time. Whether it may be a hobby, traveling, or finding a part time but worthwhile work, having something to look forward for can make retirees enjoy their time and put a smile on their faces. While some retirees wish to spend their retirement in relative peace and quiet, they would not want to wish spending it all alone. One of the things that would make any retirement worth expecting is if people can spend it with their friends and family. It is important for retirees to stay social and interact with others like them. It helps create good conversation, worthwhile activities, and build relationships that can help make retirement a happy experience.